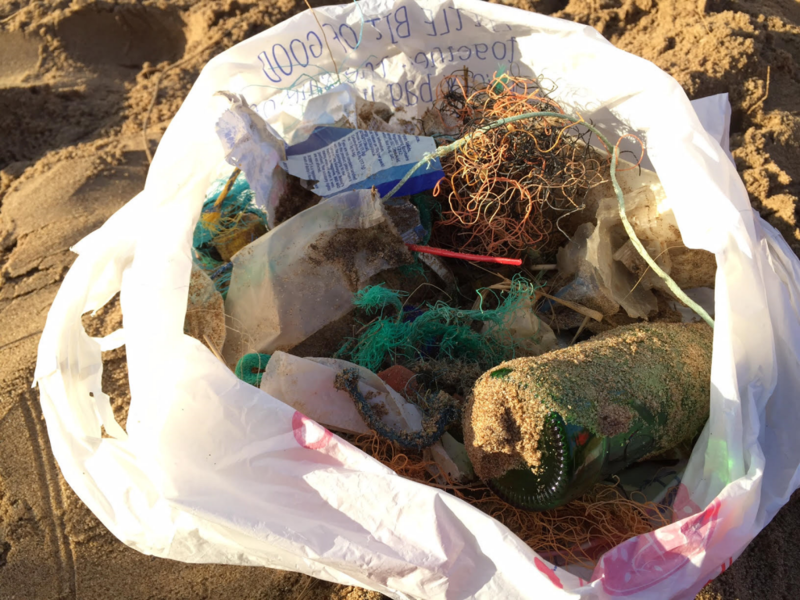 What A Load Of Rubbish… We Found On Our Impromptu Family Beach Clean. A visit to the beach is always fun, and educational. 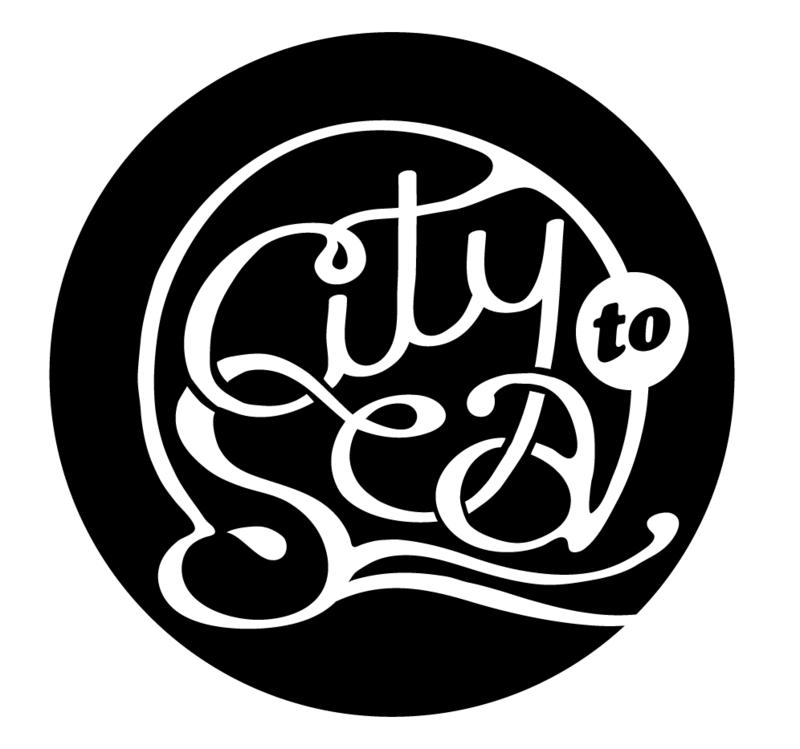 Tides, waves, limpets, sea snails, anemones, crabs, rock formations, sand structures, rubbish and plastic waste; it’s all an opportunity for discovery and learning. And an open invitation to do a little beach clean in an attempt to preserve the beauty of our wonderful coastline. I visited Croyde and all I got was this lousy bag full of rubbish! 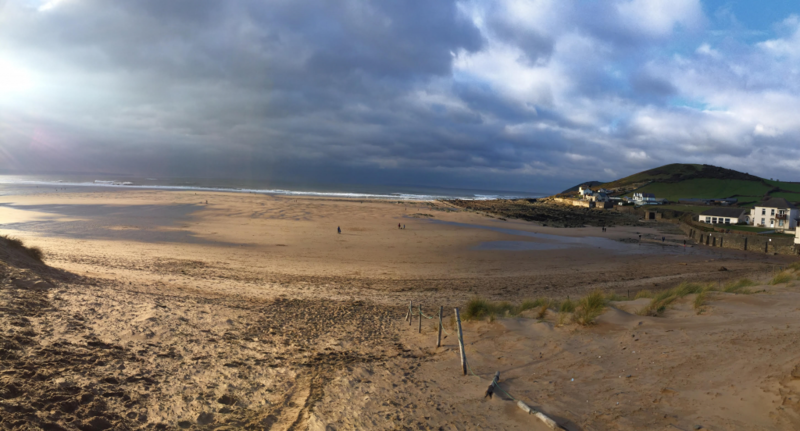 I’m really lucky to live by some of the most beautiful stretches of coastline in Britain. The beaches here are stunning. Huge expanses of sand. Great rocky outcrops, perfect for rock-pooling. Rolling sand dunes. Amazing surf. Perfect. A Saturday visit to the beach with my family, being chased by waves, splashing in rock pools, running up sand dunes and sliding down on our bums, quickly turned from enjoying the beautiful setting to a realisation that it wasn’t as idyllic as we first thought. We didn’t even need to scratch beneath the surface. It was staring us in the face. Rubbish. So our beach day out quickly became a family beach clean. A daddy. A mummy. A granny. A 5-year old. A 2-year old. A determination to do our little bit. 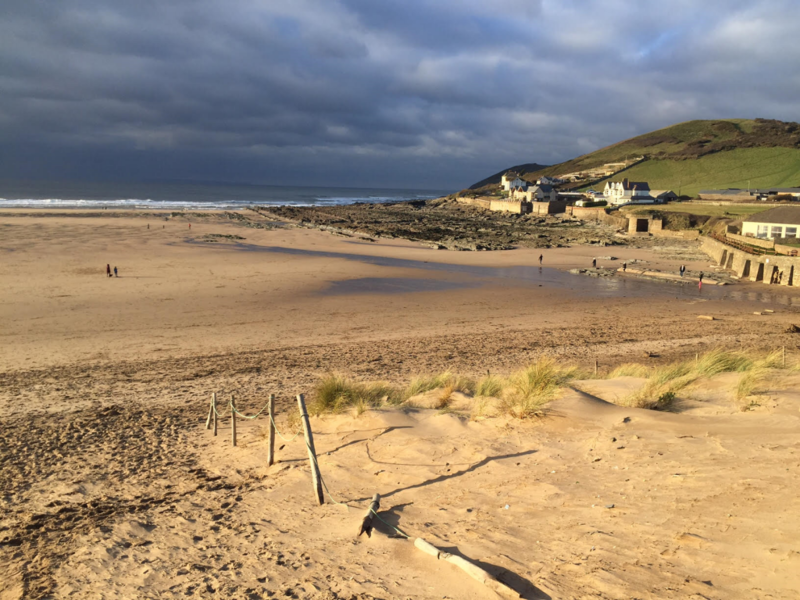 We’ve previously joined in with Surfers Against Sewage (@sascampaigns) on beach organised cleans. But today was impromptu. We simply didn’t like what we were seeing on our beach! 45min later we had a bag full of bits of fishing net, fishing ropes, plastic wrappers, plastic bottle tops, glass bottles, mermaid’s tears (little plastic pellets), plastic straws, bits of sanitary towels, crisp packets, cigarette packets, cigarette butts, amongst other bits miscellaneous bits of broken plastic. We had barely moved 10m up the sand dune. Now imagine if everyone who ever visited the beach spent half an hour of their visit collecting bits of rubbish. Now imagine if everyone who ever visited the beach took their rubbish with them and disposed of (recycled) it correctly. Now imagine if everyone who ever visited the beach tried to reduce the amount of single-use plastic packaging they used. Now imagine what our beaches, coasts, seas and oceans might look like as a result. This is definitely something we should all be saying “yes” to doing. And regularly! I’m no eco-evangelist. It just struck me how much rubbish we found on a small patch of what is a very ‘clean’ beach. If we all do our bit, the collective outcome will be greater than the sum of its parts. And we’ll have coastlines, beaches, seas and oceans to enjoy forever. Creating an advert and driving up awareness is one thing. Practising what you preach is something else altogether. I’m not satisfied with simply creating awareness. I want my kids to see me picking up rubbish. I want my kids to join me in cleaning up our beaches. I want other people to see us choosing to make this a part of our family day out. Looking after our environment together. A beach clean. As a family. The kids loved it! It was like a treasure hunt to them. They busily searched through the sand looking for bits of plastic they could contribute to the haul. We talked about what we found. Discussed the impact on the environment. And had fun doing it. Just as we’d had fun running away from the waves. Scrambling on rocks. Splashing in pools. Running up sand dunes and sliding back down again. Collecting the detritus around us became another integral part of our beach trip. 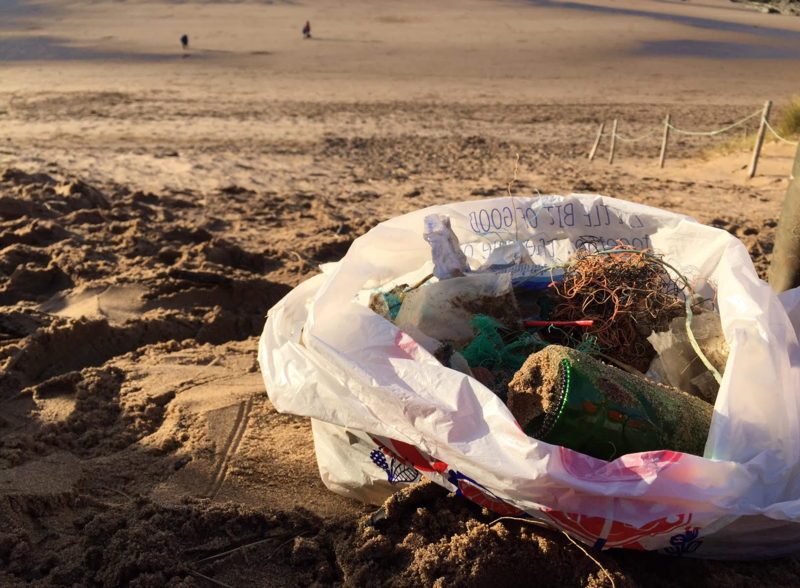 Next time we hit the beach we’ll definitely get another bag of lousy rubbish! Don’t Obsess Over The Answer. Obsess Over The Question. Sharing Is Caring And Nothing Beats Retweets. How One Minute Briefs Adds Value To Content. Dink Thifferently: Rules are only the limit of someone else’s imagination.